The first festival was held on the Weekend of 22/23/24/July 2005. September 11th 2003 was the 30th anniversary of the military coup in Chile; an attempt to stamp out the visionary project of Savador Allende and the dream of a fairer society. Thousands, including the great singer-songwriter Victor Jara, perished in the tide of fascism that followed the coup, but despite the years of US backed oppressions the dream survived. ‘El Sueño Existe’ (The Dream Lives) was the name given to the commemorative events in Chile and a seed from there found it’s way to to the mountains of mid Wales giving birth to a magical 3 day festival in the town of Machynlleth. For this festival we wove a tapestry of Welsh, Venezuelan, and Chilean music, dance, theatre and poetry, and through all this shone an inspiring message to Wales and to all humanity form Joan Jara, Victor Jara’s widow. The seed has taken root here and will grow into further expressions of the dream. Listen to Joan Jara’s talk. 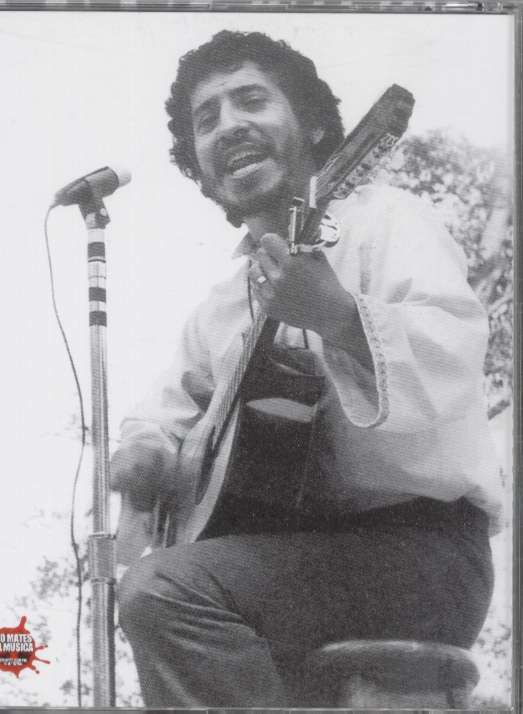 Over the past few years the group that formed Mind Out For Music have arranged evening concerts and events based on the Chilean New Song Movement , and particularly the life and work of Victor Jara who was a central figure in its creation and development. 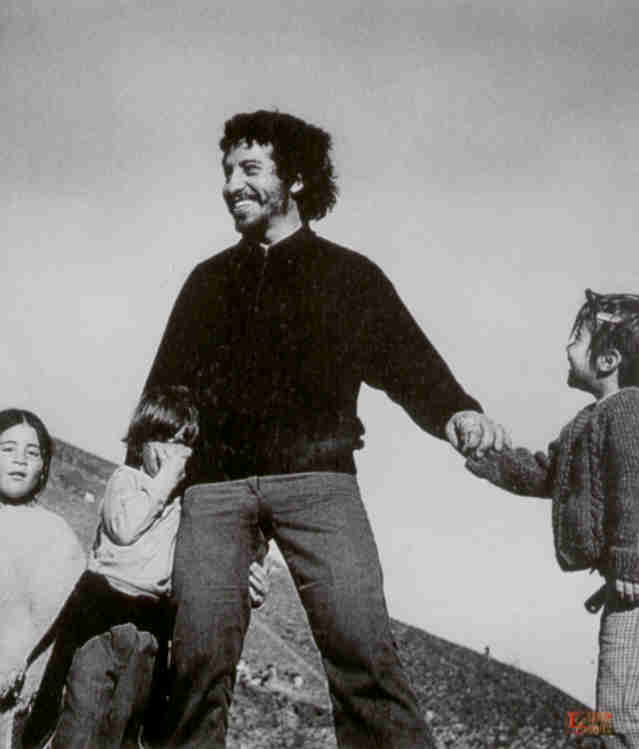 Victor Jara was a great Chilean musician, song writer and theatre director. His life has become a symbol of one of the most beautiful and inspiring experiences of the twentieth century: a new kind of democracy, in which even the poor can participate fully to change their lives for the better.When that democracy was overturned by the coup of 1973, Victor Jara was seen as such a threat that he was imprisoned, tortured and murdered by the incoming military junta. Yet he is celebrated still, and with great fervour , in his home country of Chile. Across the world there are people with quite different national and cultural experiences who have found that Victor Jara symbolizes their vision, a vision that they share with his Chilean compatriots. This is the origin of the El Sueno Existe festival in Machynlleth, Mid-Wales. We felt that Machynlleth was a particularly appropriate venue for this celebration in view of the Welsh nation’s own struggle for self-determination and independence. This has been achieved not only through political action, but also through the artistic and cultural activities of song, dance, poetry, art and theatre, reinforcing and celebrating a unique national identity. We have no doubt that people enjoyed the music, dance, poetry and theatre of the festival, but we also wanted to explain what lies at the heart of the vision that inspired us to organize it. At a time when the US and UK governments are telling us that violent intervention is the way to spread freedom and democracy throughout the world, we can gain great courage and inspiration from Victor Jara. He showed us that there is indeed another way – a peaceful, joyful and inclusive way of developing and sustaining a true democracy for all.